Charleston Pointe is a beautiful community just minutes from downtown Atlanta, located along the City of Atlanta, and Dekalb County border. Enjoy all the advantages of homeownership - from room for the family to play and entertain, to peace and quiet with a yard and garage. Charleston Pointe offers stylish and versatile one and two-story homes fitting for the young professional, for the new family, professionals,as well as the active adult. Matching the community's curb appeal is its location. This community is nested along Interstate 20 located near the communities of East Atlanta and East Lake. This spectacular community is located a few blocks from historical East Lake Golf Course, a few miles from Turner Field, Zoo Atlanta, Georgia State Capitol, Charlie Yates Golf Course and other recreational and cultural facilities. Shopping opportunities abound with East Atlanta Village, Little 5 Points, Edgewood Retail District and a new Wal-Mart around the corner. Convenient access to I-20 makes the whole city a short drive away. 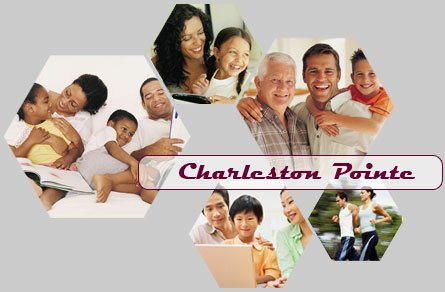 If you are a resident of Charleston Pointe and would like to receive a login to the resident-only portion of this website, just fill out a Request for Login Form. Those interested in advertising on the website should fill-out an Advertising Request Form.